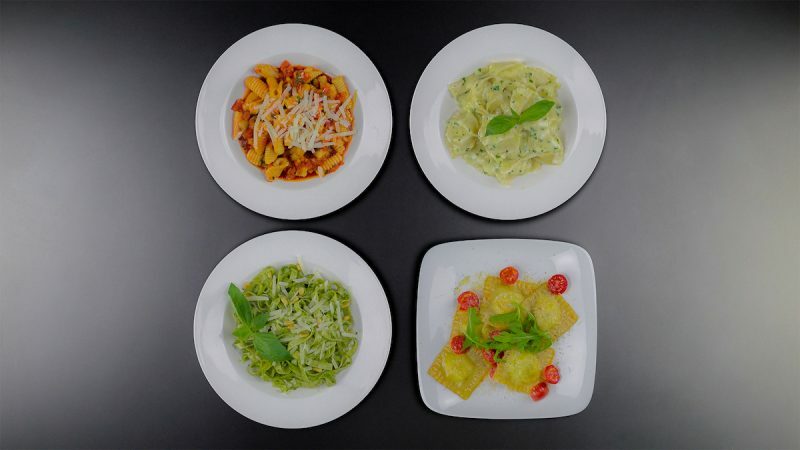 If Italian is the language of love, then pasta is the dish of lovers. Valentine's Day is just around the corner, and because everyone knows the way to someone's heart is through their stomach, go ahead and whip up an authentic, homemade pasta dinner for two to mark the special day. 1. Prepare the dough using the above ingredients, cover with plastic wrap, and refrigerate for at least 1 hour. 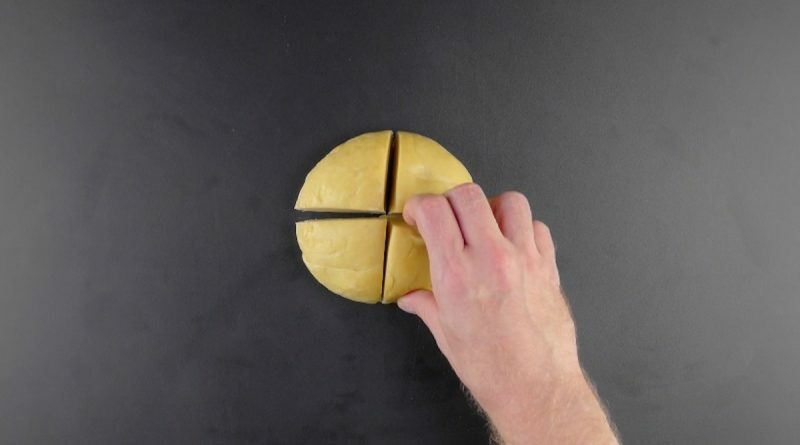 Then cut the dough into four pieces so you will have some for each type of pasta. 2. 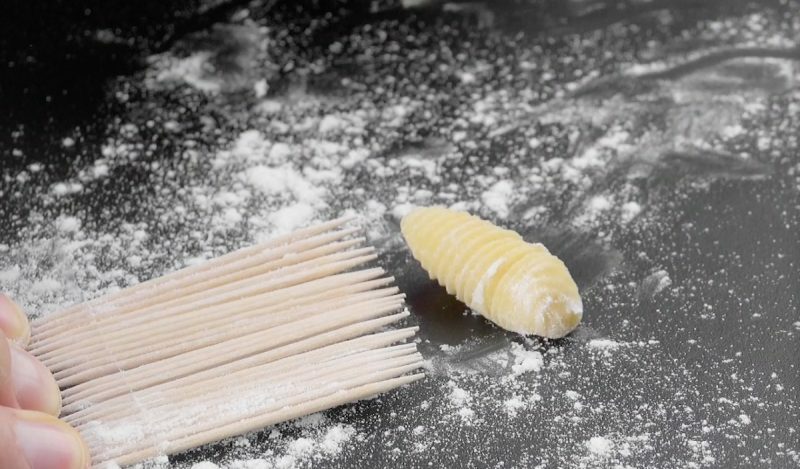 For the castellane pasta, flour your work surface and roll out a section of dough with a rolling pin. Cut the dough into strips, as shown in the video. Stick about 20 toothpicks to a piece of tape and sprinkle with flour. Push the small pieces of dough back and forth over the toothpicks until you get a ridged surface. 3. Pull a pair of clean pantyhose over an empty picture frame. Lay the castellane pasta in the middle and let dry. 4. For the farfalle pasta, roll out the second piece of dough, cut evenly-sized rectangles, use a fork to make marks on two opposite sides, and use two fingers to shape the pasta. 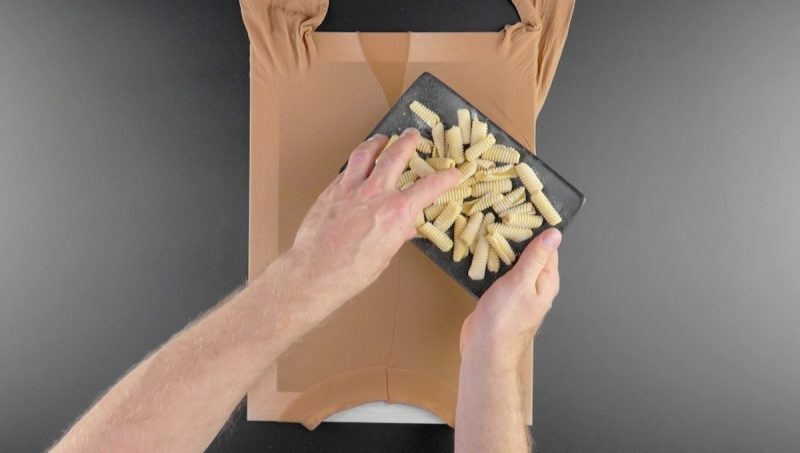 You can also place this pasta on the pantyhose to dry. 5. 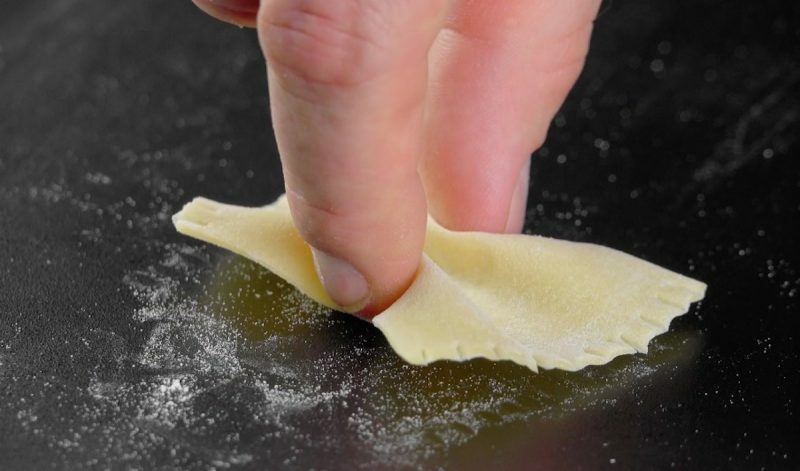 For the tagliatelle pasta, roll out the dough, and then roll it up as shown in the video. 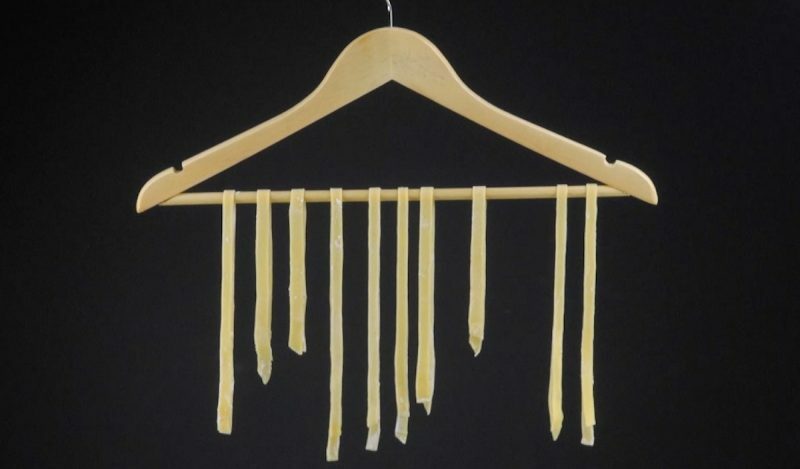 Cut evenly-sized pieces, unroll them, and hang them on a hanger to dry for at least 24 hours. 6. 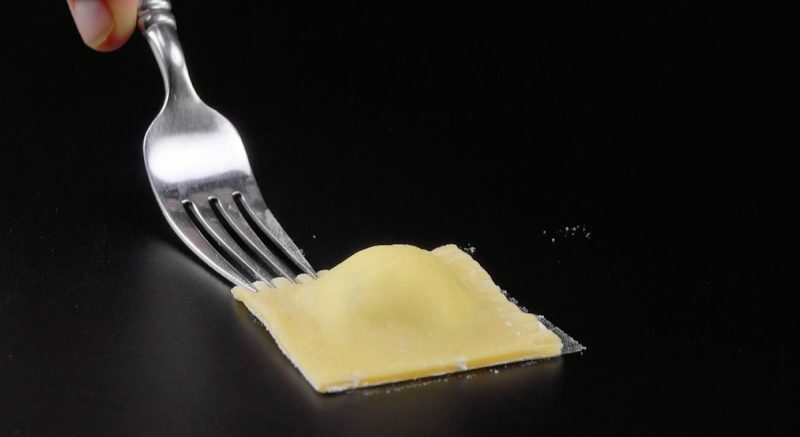 For the ravioli pasta, halve the last piece of dough, and roll out one half into a rectangle. Prepare the ricotta filling and spoon evenly-spaced portions onto the dough. Brush the dough with an egg yolk wash and place the other sheet of dough on top. Cut out equally-sized squares and press all four sides of each piece with a fork. 7. Now that you know how to make these four classic pastas yourself, we'll tell you which sauces fit best. Pair the castellane with a simple tomato sauce. Prepare the sauce as shown in the video, pour it over the pasta, and sprinkle some grated parmesan on top. 8. 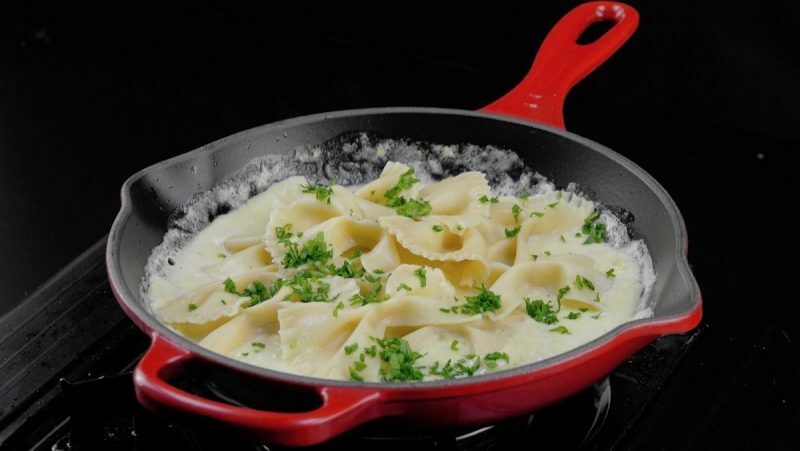 Pair the farfalle with a simple cream sauce consisting of butter, cream, lemon, parmesan, and parsley. 9. 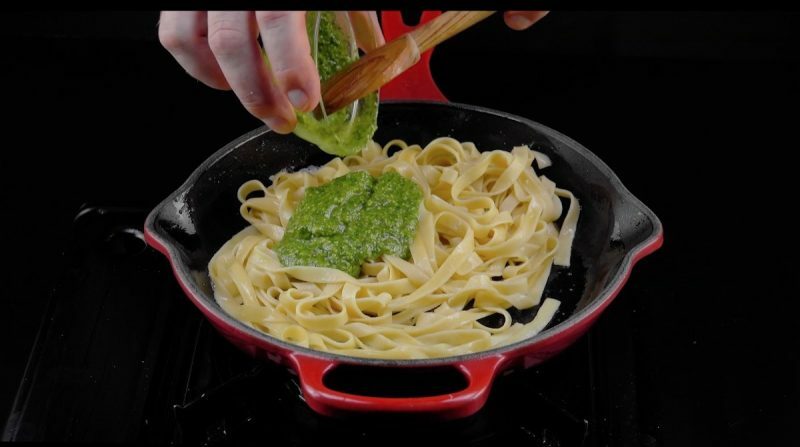 Tagliatelle tastes best with some fresh pesto, roasted pine nuts, and some piquant parmesan cheese to top it all off. 10. The ricotta-stuffed ravioli goes perfectly with cherry tomatoes, arugula, and parmesan cheese. Why shell out for store-bought noodles when it's so easy to make yourself? Not only does it taste better, but making these beauties will make you feel like you're living out your wildest dreams under the Tuscan sun. 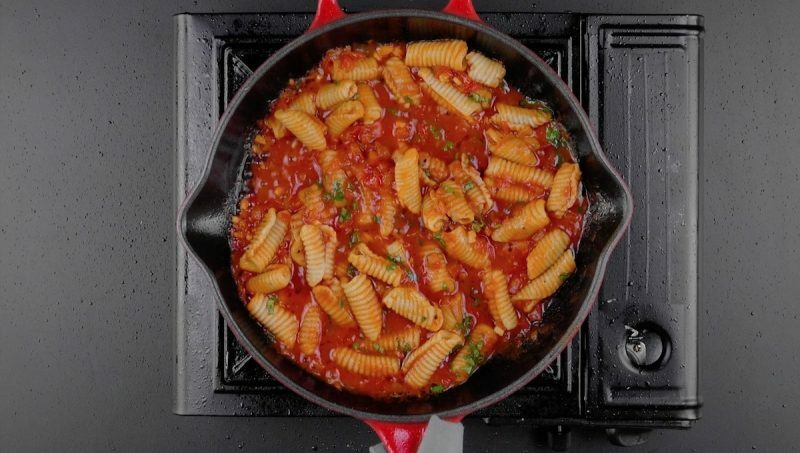 Pasta la vista, baby!